FSS Google Maps Downloader is a free tool for Windows that lets you save Google Maps image to PC so that you can view maps offline. You can easily download satellite view of maps, normal maps, or both views according to your own requirement. Saved map will be of jpeg form which you can open with any image viewer software. Another benefit of using FSS Google Maps Downloader is that you don’t need to browse for Google Maps online every time and no need to open your web browser again and again. FSS Google Maps Downloader works as a desktop client of Google Maps and you can search locations on Google Maps right from your desktop. Its interface is quite simple and very easy to use. 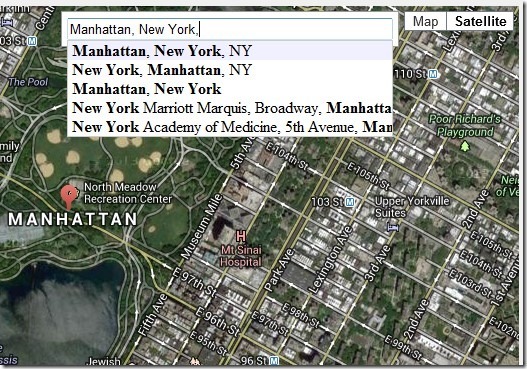 You can search for your own location using FSS Google Maps Downloader and can zoom in/out with ease. This handy tool doesn’t use much of CPU resources and is only 6.62 mb in size. 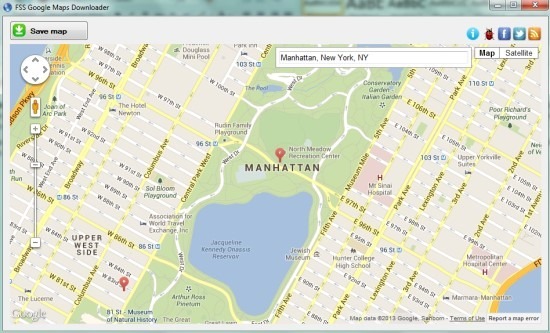 Screenshot above shows main interface of FSS Google Maps Downloader where by default it provides the normal view of map. You can change the view using the Satellite tab available on top right corner. Choose any view accordingly and then you can search for any desired location. As visible in below screenshot, it also provides search suggestions just like the same way it shows online. This is how you can work with this simple yet useful tool and can save as many maps images as you want using Save Map button. We have also reviewed some other products of FreeSmartSoft.com: FSS Google Books Downloader, FSS Video Converter, and FSS Audio Converter. 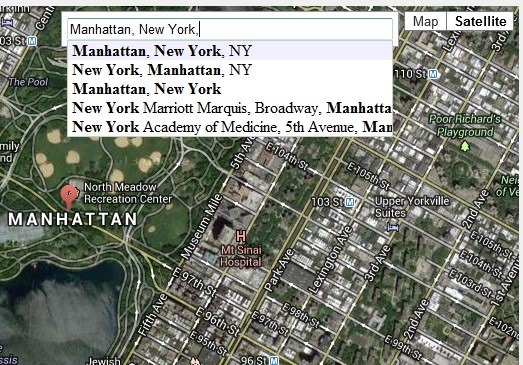 A useful tool that lets you explore Google Maps directly from desktop. No need to open any web browser. You can save maps to your PC in jpg form. Later on, you can open saved image with an image viewer and can edit that map. Lets you view maps in normal view as well as in satellite view. Zoom facility is also available to view locations more clearly. You can use link available below in this article to download this tool. As its set up file is 6.62 mb in total size, so it wont take much time to download it. After this, you can run its setup file to install it. Installation process is simple for FSS Google Maps Downloader but it is ad-supported. As you can see in below screenshot, it provides additional tasks to install with this tool. But you can ignore installation of extra tasks by unchecking their check boxes. 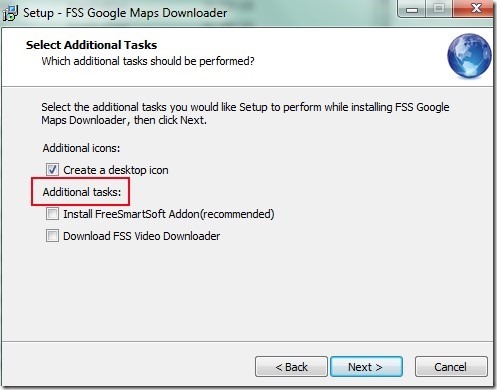 Get FSS Google Maps Downloader free. Also look at these 7 Google Calendar Desktop Clients reviewed by us.